Can’t always get what you want…but Katy Perry sure did at the Rolling Stones concert in Las Vegas Saturday night! Sir Mick Jagger has asked fans to help the Rolling Stones choose a setlist for the band’s upcoming performance at Britain’s legendary Glastonbury music festival. The veteran rockers were finally confirmed as the event’s headline act last week after months of speculation, and frontman Jagger is already considering which songs to play at the show. He has even appealed to fans for ideas ahead of the big gig in June. The Rolling Stones wrapped up their 50th anniversary tour on Saturday night with a star-studded set featuring Lady Gaga, John Mayer, The Black Keys and Bruce Springsteen. Frontman Mick Jagger introduced a jumpsuit-clad Gaga to join him on Gimme Shelter at their fifth and final official 50 and Counting show at New Jersey’s Prudential Center, and the duo shared verses and danced together. Mayer and fellow guitarist Gary Clark, Jr. also joined the Stones for Going Down, while The Black Keys followed with the Bo Diddley classic Who Do You Love?,and former Stones guitarist Mick Taylor also made an appearance. Springsteen then thrilled the crowd with a version of Tumbling Dice, with Jagger joking that the New Jersey native had “walked to the show”. The band’s comeback is set to stretch into next year. The rockers are playing California’s Coachella festival in April. Rocker Mick Jagger poked fun at incarcerated producer Phil Spector and made light of his lack of profits from Maroon 5’s song Moves Like Jagger during a special appearance on The Late Show With David Letterman on Tuesday. The Rolling Stones frontman thrilled viewers as he stopped by the program’s New York studio to recite Letterman’s daily Top 10 countdown, and shared his lessons learned from a lifetime of rocking. Among the Top 10 List of Things Mick Jagger Learned From 50 Years in Rock ‘n’ Roll were, “Nobody wants to hear anything from your new album,” and, “Before shouting ‘Hi Seattle’, make sure you’re in Seattle”. Jagger also made a tongue-in-cheek joke about Spector, who was sentenced to 19 years to life behind bars following his conviction for murdering actress Lana Clarkson at his Alhambra, California home in 2003, quipping, “Never take relationship advice from Phil Spector”. The singer also laughed off the huge success of the Maroon 5 track, which makes reference to his famous dance moves, saying, “You don’t earn a cent when someone does a song about having moves like Jagger”. 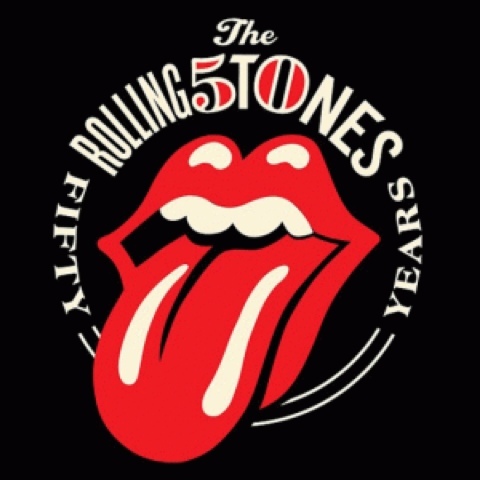 The Rolling Stones are planning a summer summit in London to discuss plans for a 50th anniversary concert later this year, according to band insiders. Mick Jagger and his bandmates teamed up for rehearsals in New York in April and now guitarist Keith Richards has confirmed there are more sessions planned for July. The German start-up The eBook People GmbH, a spin-off of the publishing house The Interview People GmbH (www.theinterviewpeople.com), is going to release its first comprehensive eBook in July which will feature the 50th stage anniversary of the band The Rolling Stones. Here’s an excerpt from the forthcoming book which could be found on Amazon or directly from www.theinterviewpeople.com. Paris in spring 2003, several weeks before the Stones kicked off their 2003 world tour. Hi Mick, what have been your career highlights? Mick Jagger: It was great to getting the band going the very first time because you start to be successful for the first year or first couple of years and you´re like: All your little teenage dreams are, so to speak, coming true and you feel young and very ambitious and you’re starting to be successful – that feels really good, like getting your first job, doesn’t it? Mick Jagger: Bad times. There’re lots of bad times in a career, you know. The Rolling Stones have had a pretty long career and always there´s been good things and bad things. People die, you know. But I mean I guess most of the times it´s been pretty positive. Mick Jagger: You´re always telling and that’s what it is to do, it’s parenthood. What you do is giving parts of your experience to them. I mean, you don´t always save them from real life. Or you can use examples. That´s what you do with children all the time. Someone once said: If you don´t advance, you´re dead. So: How far can you still advance after your big success? Do you think that bands these days also have the chance of becoming as big as the Stones are? Mick Jagger: I think so. I mean the only thing is it´s been going longer as a musical form. So rock music as defined by, let’s say four blokes playing in a band, was quite new in the early 60ies. But now it´s 40 years old as you put it out. The whole idea and form is older now. So how many generations? Two? Three generations? So it´s like an old thing being handed down now. It´s probably more difficult to make such splash as it was, for that reason. Mick Jagger: It depends where you´re touring. In the early 60ties where you were playing in theatres, people don´t do a tremendous amount of all that stuff. And it was going on in the sixties. That´s where it all started, I mean there were a lot of that. But we´re going to play a theatre show that is very little, so in the Circus Krone show shouldn’t be much pyrotechnics. But if you´re playing in a bigger stadium, you gotta do something visual. You can´t just go on. That’s like a guitarist view of world. Mick Jagger: Yeah, but I think that really when you go to a big stadium show the people that go, “the punters” as we call them, are not really just going to hear some pristine music, it´s just a sort of allround experience. It´s halfway between going to a football match and a music show. You´re really looking forward, you want something to enhance your experience visually. To amplify and enhance the experience you need a bit more than just the music. The thing is that musicians think that´s all the people want, but I don´t share that view. Mick Jagger: I don´t know, not really. (laughs) It´s sort of silly. When I´m working I like to have certain things. When I´m not working I do not really care about them very much. But when you´re working you want certain things. I don´t like to have a noisy traffic too much because then I can´t sleep for the show. The problem is: When you´re working you don´t want to sleep late because you want to be ready for a nine o´clock show rather than nine to five job. So I don´t like staying in the hotels that are noisy. Are the hotel-lobbies still as crowded with groupies as they used to be? Mick Jagger: I don´t know, I listen to a lot of stuff that I bought when I was to see what´s in the store. The other day I bought some new records. I listen to some jazz. I mean I listen to everything to be honest. I´ve been to India, listened to a lot of Hindi-dance-music, it´s like pop here in England. Someone said that this tour was announced to be the last … Mick Jagger: Well, I don´t know. You know, that’s the entertaining thing: You don´t really know what´s gonna happen. I´m planning and trying to work out what´s gonna happen next. So I´ve been working on what´s gonna happen at the next Rolling Stones show.